About: Cancer is the uncontrolled division of abnormal cells within the body, they can arise from any type of cell such as skin, kidney, bladder, breast. Symptoms: Can vary depending on the type of cancer but may include unexpected lumps or bumps, lesions, bleeding, unexplained weight loss, and lethargy. Treatment: Depends on the type of cancer but may include surgery to remove the growth, chemotherapy, radiation therapy and amputation. Also referred to as malignant neoplasms or malignant tumours, cancer is the uncontrolled division of cells that normally should be restrictive in their growth. Tumours are split into two categories, malignant (cancerous) and benign. Benign tumours are slow growing and surrounded by a capsule. They do not invade neighbouring tissue or spread (metastasise) to other areas. Malignant tumours, on the other hand, tend to grow rapidly, invade surrounding tissue and spread to other parts of the body. Cancers are often described by the part of the body they originate from, for example, breast, brain, liver, bile duct or pancreatic cancer. The disease can develop in cats of any age, however, it occurs most often in middle-aged to older cats. It is a leading cause of death in elderly cats. Carcinoma originates from the epithelial cells which line the inner and outer parts of the body and can be split into two types. Adenocarcinoma originates in an organ or gland and squamous cell carcinoma which originates in the squamous epithelium. A cat can have skin cancer which may be melanoma, squamous cell carcinoma or a basal cell carcinoma. All skin cancers, but originating from different cell types. I have lost two cats both of whom had nasal cancer. One cat had osteosarcoma (bone cancer) and the other had squamous cell carcinoma which originated from the lining of the nose, both cats had identical symptoms. Skin cancer: Squamous cell carcinoma which can affect cats who spend time outdoors in the sun, especially light coloured cats. The ears and nose are the most common sites. Other types of skin cancer may include melanoma, basal cell carcinoma, and mast cell tumours. Mammary cancer: The most common type of malignant mammary cancer in cats is adenocarcinoma making up 80% of mammary tumours. Fibrosarcoma: An aggressive type of malignant growth (cancer) that originates in the fibrous connective tissue. Carcinogens (agents which can cause cancer): Examples of carcinogens include UV radiation, X-Rays, certain chemicals, environmental toxins, cigarette smoke. Viruses: In particular, feline leukemia virus. Genetic predisposition: Some cats and breeds have a higher incidence of cancer. Injections: Originally called vaccine associated sarcoma, the use of injections (especially vaccinations) have been associated with a rare form of cancer re-named injection site sarcoma. Cancer symptoms will vary depending on the location and part of the body affected by cancer. While rare, cats with pulmonic neoplasia (lung cancer) can develop a condition known as lung-digit syndrome where cancer spreads to the digits of the feet resulting in bone lysis (destruction). Cats present with lameness, swelling of the toes and pain. Your veterinarian will perform a complete physical examination of your cat and obtain a medical history from you. It may be possible to make a presumptive diagnosis if there is an obvious growth, however, evaluation of the tumour is necessary for a definitive diagnosis. 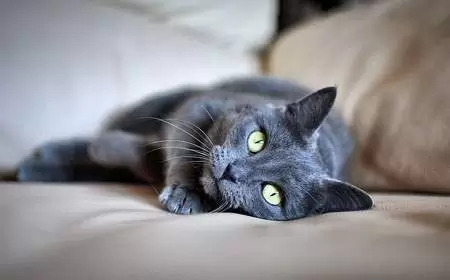 Baseline tests: Biochemical profile, complete blood count, and urinalysis to evaluate the overall health of your cat and look for signs of infection or inflammation. Fine needle aspirate: The veterinarian uses a thin needle to remove a small sample from the abnormal tissue for microscopic evaluation. Biopsy: If there is an obvious growth your veterinarian will take a biopsy for microscopic evaluation. Imaging: X-rays, ultrasound, computed tomography (CT) scans or magnetic resonance imaging (MRI) to evaluate the internal organs and look for tumours inside the body and signs of metastasis. Barium studies: Barium is a radio-opaque compound which when consumed coats the lining of the intestinal tract and shows the structures as white on x-rays. This test can be a useful diagnostic for cancers of the gastrointestinal tract. Treatment may vary depending on the type and location of cancer. Surgery: Where possible, surgical excision of the tumour with a margin. It may also be necessary to remove lymph nodes closest to the tumour. Chemotherapy: A number of drugs which target rapidly dividing cells. Chemotherapy can shrink a tumour before surgery, after surgery to kill cancer to kill any cells left behind, or as a stand-alone treatment where surgery is not possible. In the latter case, the goal is to slow down the progression of the tumour. Electrochemotherapy: An emerging therapeutic which shows great promise for the treatment of skin tumours. Chemotherapy drugs are poorly absorbed, but this treatment allows for better penetration by delivering electric impulsions into the tumour after administration of chemotherapy. More information can be found on this site. Radiotherapy: A treatment which uses a radiation beam to target cancer cells. Radiotherapy can be used to treat cancers which cannot be surgically removed or after surgical removal to target any cancer cells which have been left behind. Cryosurgery: For treatment of some cancers on the skin, liquid nitrogen is used to freeze and destroy target cancer cells. Cats tolerate chemotherapy well and it doesn’t cause hair loss but can cause lethargy for a day or two after treatment. 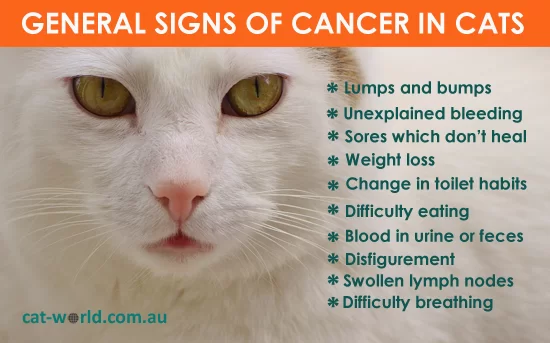 It is not always possible to prevent cancer in cats but there are certain things we can do to reduce the chances of some types of cancer. Spayed and neutered cats don’t roam as much or get into fights, reducing the chances of contracting FIV or FeLV. 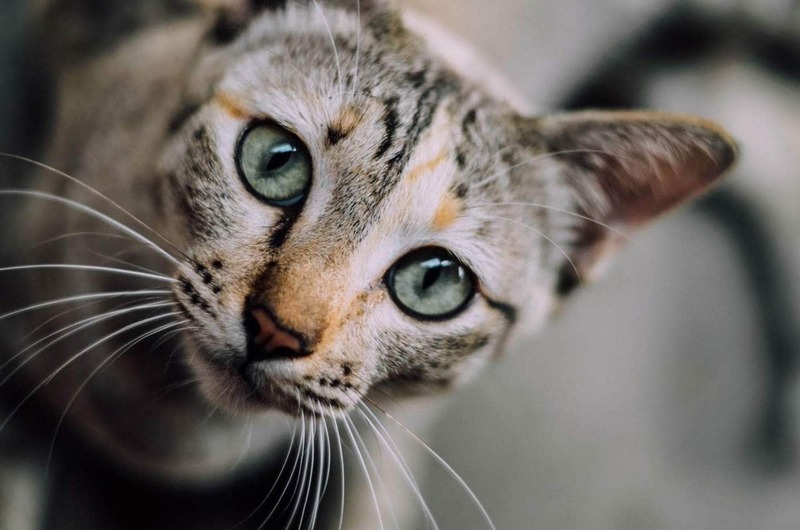 Intact females are at greater risk of developing mammary cancer than spayed females and castration eliminates a male cat’s chances of developing testicular cancer. We can’t avoid the use of certain treatments to prevent parasites, nor should we, good parasite control is vital. I do think we can try to reduce exposure to household chemicals by using natural products such as white vinegar and bicarbonate of soda in our day to day cleaning. Obviously, these are not effective where proper disinfection is necessary, but the average home uses a lot of chemicals. There has been a lot of talk about over-vaccinating our cats over the past 10 years, only you and your veterinarian know your cat’s individual circumstances, but it is a discussion you should have. The new recommendation by the Australian Veterinary Association as well as the American Association of Feline Practitioners (page six) is to give your low-risk, household cats their core vaccinations (F3) as a kitten. Three vaccinations which are spaced 4 weeks apart at 8, 12 and 16 weeks, followed by a booster at 12 months and then every three years. This can reduce the risks of injection site sarcoma. Local regulations or individual risk factors may warrant more frequent vaccination as well as the administration of some non-core vaccinations. Try to keep cats inside between the hours of 10 am – 4 pm, this is even more important if your cat is white or pale cats. Provide access to a shady area so that the cat can get out of the sun. If you notice any redness or damaged tissue, especially around the ears, seek veterinary attention. Cigarette smoke is a carcinogen in both cats and humans. Even if you decide to go with triannual vaccinations, it is still important your cat see a veterinarian at least once a year and twice a year once he reaches 7 years of age. See a veterinarian if you notice any lump larger than a pea, which has been present for longer than a month. Obesity causes a number of health disorders in cats and has been linked to the development of certain cancers.